Presenting a wide array of samurai armor, blades, and accoutrements dating from the 15th to the 19th century, this exhibition celebrates the promised gift of 37 objects from the collection of Etsuko and John Morris, as well as other important gifts made by Mr. and Mrs. Morris to The Met’s Department of Arms and Armor over the past 17 years. The collection was originally assembled in the early 20th century by Dr. Frederick Malling Pedersen (1869–1947) of New York. It later passed by descent to Mr. and Mrs. Morris, who have seen to its care and restoration. 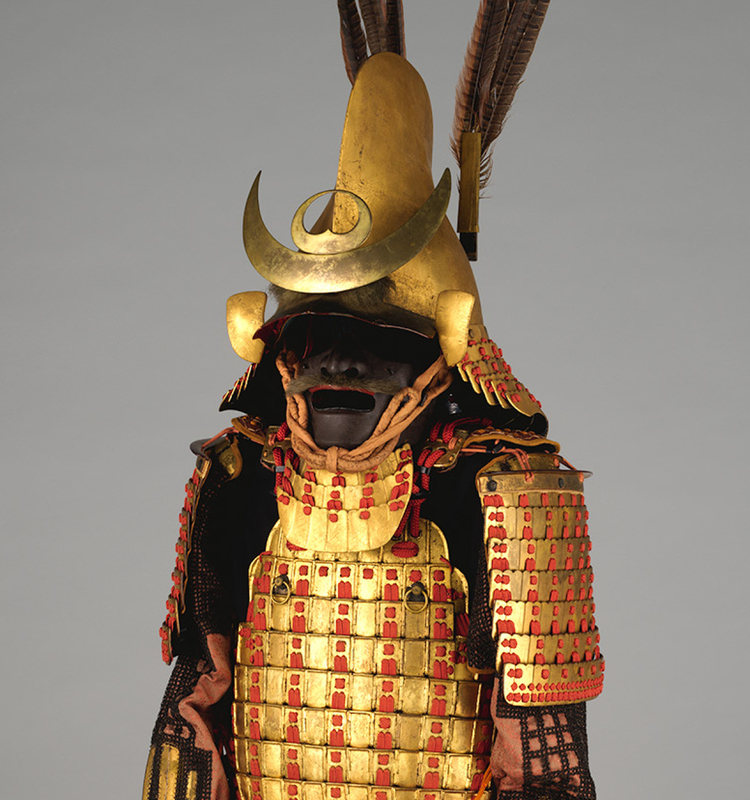 Key works include a rare complete armor (gusoku) by Bamen Tomotsugu (active 18th century); a blade attributed to Fusamune of Sōshū (active late 15th–early 16th century) with mounting; and a helmet (kawari-kabuto) in the shape of a wave (17th century, restored 2015). The gift of choice objects from the collection represents a significant addition to the Museum’s holdings of Japanese arms and armor, which are the most comprehensive of their kind outside of Japan.